This was a one-day workshop in the National and Kapodistrian University of Athens co-organized by the Department of History and Philosophy of Science of the National and Kapodistrian University of Athens and the Centre for Environmental Policy in Imperial College London. It took place on 14 January 2016. 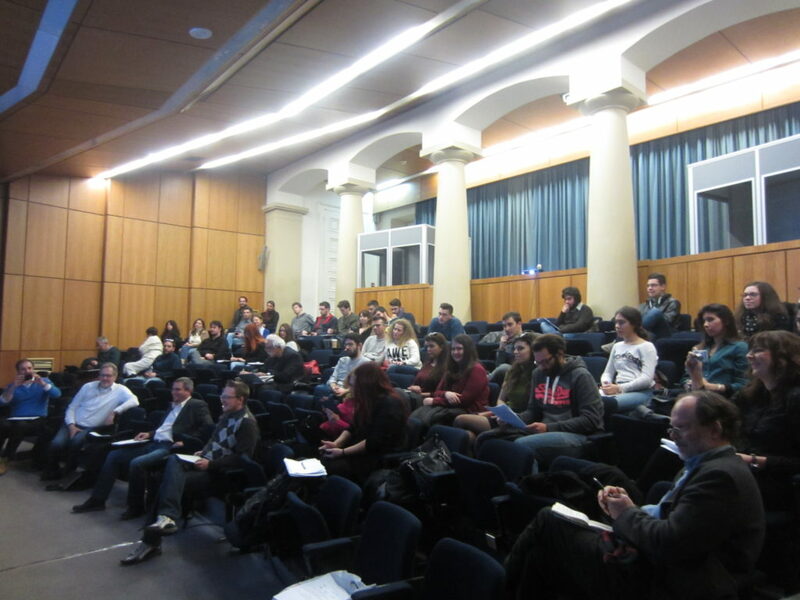 The event was coordinated by Stathis Arapostathis, National and Kapodistrian University of Athens, and Peter Pearson, Imperial College London. Funding was secured by the European Association for the Study of Science and Technology (EASST), the EPSRC funded project Realising Transition Pathways, and the project History of Nuclear Energy and Society (HoNESt). The event was based on invited papers and it was attended by 30 scholars in the areas of History of Science and Technology; Science, Technology and Society and Policy and Innovation Studies. More than 100 members of the broader audience and from NGOs attended several of the sessions while the attendance during the final roundtable went beyond 120 people. The aim was to start a discussion about the role of history and more particularly of the history of techno-sciences in techno-scientific policy making. Emphasis was given on histories of innovations and technologies in the energy sector, environmental innovations and the information and communication technologies. The main questions of the event were: What is or what can be the role of history in public policies relevant to science and technology? What historiographical perspectives are more pertinent to historically informed techno-scientific policies? Can a historian of science and technology have a role in policy and decision making? Those questions were formulated in the very reflexive context that seems to have influenced the international community of historians. In recent years, historians are seeking to place themselves more centrally in the making of public policies. During the last decade, the extended and dynamic research network History and Policy (http://www.historyandpolicy.org/) has aimed to link historians with politicians, policy makers, policy analysts and journalists. More recently, the book The History Manifesto (CUP, 2014) by Jo Guldi and David Armitage has triggered continuous public discussions about the role of history in public policies of contemporary social, political and economic problems. Beyond this, during the last two decades, historians and sociologists of technology have worked on historically informed policy scenarios and have conducted policy relevant historical research. The new field of Transition Studies emerged through such synergies and approaches (Geels, 2002; Schot and Geels, 2007; Geels,2005; Smith, Stirling and Berkhout, 2005; Bijker, 1999). In this context the workshop aimed to bring together historians of science and technology, sociologists, innovation studies as well as policy analysts, in order to reflect on the role of history in the making of science and technology policies but in the context of the broader dialogue and taking into account existing experiences. 3) Nuclearities, Techno-sciences and Nuclear Policies. Furthermore, two roundtables were organized. 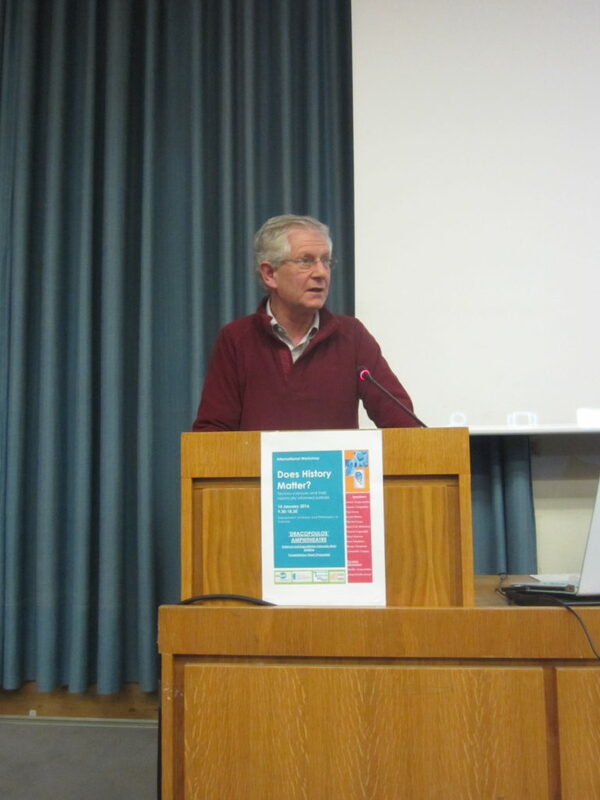 One roundtable was about the aims and the scope of the research projects that contributed to funding the workshop. The aim was to show how large scale projects mostly in the energy sector promote multidisciplinary research that brings together historians, sociologists, innovation studies scholars and economists as well as legal scholars. The second roundtable and concluding session featured four external commentators who attended the workshop and provided both overall commentary and specific suggestions in relation to how history can be useful for science and technology policy making. These included Yannis Caloghrou, Professor of Innovation Studies in the National Technical University of Athens; Alexandros Kyrtsis, Professor of Sociology and Sociology of Science in the National Kapodistrian University of Athens; Dimitris Ibrahim from Greenpeace and Ioannis Margaris, from the National Technical University of Athens and the HEDNO (Hellenic Electricity Distribution Network Operator). The aim was to have representatives both from epistemic communities different from that of history of science and technology, as well as representatives from NGOs and the industry that could provide the view of stakeholders in science and technology policy making. In the morning session entitled ‘Infrastructures, Technologies and the Environment’, the papers addressed the construction of environment through technological infrastructures. Vincent Lagendijk advocated a historical approach based on a more symmetrical understanding of the causes and the agendas of the engineers, the state, the municipal authorities as well as the civil society. He argued for more historical sensitivity to the agency of the communities of citizens and infrastructure users in questioning engineering rationality and addressing issues emerged from the logic of civil society. Martin Ivanov provided a policy relevant history of renewable energy sources (RES) and their integration in the energy mix of the Bulgarian regime. He argued that institutional and technological path dependencies as well as the organizational and political culture defined the transition pathway of the energy mix in more sustainable directions. The transition was characterized by strong tensions and the opposition exerted by actors from the coal and nuclear lobbies, the local environmental activists and political engaged communities of citizens, distribution companies and electricity traders. Furthermore, governmental actions and decisions did not facilitate the integration of RES and the entrepreneurial activities of small scale installations. Pressures by the European Union were understood as windows of opportunity by incumbent regime actors to promote their interests, yet innovative initiatives were characterized and influenced by political corruption. Whereas Ivanov argued for the importance of institutions, governance patterns and culture in the making of energy regimes, the paper by Aristotle Tympas and Vassiliki Aggelopoulou stressed the importance of material histories in the making of policies and transitions to a more sustainable future. They argued that it is important to understand that technologies are not neutral and that different technologies are the material embodiments of different socio-political orders. Thus small scale wind parks with wind turbines of reduced height and width organized a different sociopolitical regime from the one organized around a large scale, colossal wind farms with gigantic wind turbines. While the first coproduced the energy regime for a regional or community level, the other coproduced patterns of energy demand that maintained unsustainable urban consumption. So when decisions are to be made, it is important to link technologies with the broader political priorities and with appropriate governance patterns. The second morning section was dedicated to technological transitions and path dependencies both at the governance and technological level. Yannis Fotopoulos and colleagues argued that the natural gas transition in Greece showed that the political priorities at the transnational, national and local level defined the governance patterns and thus the character of the transition, the allocation of resources, skills and expertise(s). Fotopoulos et al. stressed that governing a transition really matters in the making of the network and the construction of organizational and material configurations of a system. In this context they pointed out the role of experts in visioning and framing energy problems and in directing policies by translating and inscribing them in the agenda of state and government actors. Furthermore, Fotopoulos et al. argued that in the case of contemporary Greece and in the context of financial crisis transnational actors should be viewed as important players in the transition rather than as actors who only exercised pressures on the national actors. While Fotopoulos et al. studied the structural characteristics of a specific case study, Peter Pearson showed how history and incumbents matter in shaping structural regime changes and effecting sociotechnical transitions with an emphasis on low carbon transitions. He was interested in theorizing and assessing the agency of the actors and their role in promoting, directing or reacting to a transition. He argued that incumbent technologies as well as organizations can be important influences, negative or positive, on the success of low carbon technologies and policies. Pearson showed that transitions can be conducted and realized in an effective way even under tight schedule, short time scale, and within a context of strong landscape pressures. The issue at stake is to mobilize human and financial capital at state and corporate level as well as to exercise the regulatory power to facilitate the technological change and to facilitate the effective interaction between actors. This is a dimension stressed by Ivan Tchalakov too. He argued that the recent history of information and communication technologies and digital infrastructures in Bulgaria showed that governing successful transitions necessitated choices over technologies, allocation of expertise and skills, the social legitimization through acts of legislative measures and acts of persuasion but also the synergy of local private concerns with civil society initiatives. He reconstructed the sociotechnical networks that were shaped in the struggle against the established state monopoly. The passage from the communist to the liberalization period involved intensive attempts by the private internet service providers to change legislation. Pressures from those actors were strong in order to legitimize a logic of competition. Furthermore, he argued that the low taxes and the high speed of the Bulgarian internet created the setting for entrepreneurial activity of international private interests. This is a condition that has been deemed as necessary for the continuation of the pace and the character of the transition but also of the integration of internet in the developmental patterns of Bulgaria. In the afternoon session entitled ‘Nuclearities, Techno-sciences and Nuclear Policies’ the papers attempted to reconstruct the stories of the national nuclear programmes of Finland, Bulgaria and Greece from a perspective that could be informative to current trends in policy making. Karl Erik Michelsen addressed the problem of the limits of national self-determination in energy policy. His starting point was the Finnish experience and he argued that small independent nations, like Finland, have only limited self-determination when it comes to energy policy. The country’s struggle to develop a sovereign and independent energy policy had been unequal since the strong pressures and enforcement by the Soviet Union to use Soviet technology, expertise and uranium for the first nuclear power station in the country, which meant that Finland was then locked into a specific technological regime and technologically dependent on the Soviet Union. Dependence continued even for subsequent nuclear power stations despite the fact that they were built with western technology provided by Asea Atom and Westinghouse respectively. The country’s lock in nuclear power made it very difficult both politically and technologically to move away from this regime during the early years of the 21st century. In a context of market liberalization, the ownership of the new nuclear power plant by Russian interests triggered political contestation and conflict while it deepened the country’s technological dependence. The issue of technological dependence was raised in the paper by Arapostathis and Tympas on the story of the cancelled nuclear programme of Greece. The Greek story showed that a nuclear power station was an endemically political project in which experts played an important role in the process of framing the solutions to energy problems. They were key actors inscribing the integration of nuclear power plant not only in the energy mix but also in legitimizing the political priorities of democratic or fascist governments. They showed that the nuclear power plant in Greece was cancelled due to the critical event of a strong earthquake but also to the delegitimization and the politicization of the project that had been achieved by the anti-nuclear movement. Finally, they provided a new understanding of the ‘nuclearity’ of Greece by stressing the fact that while the country was cancelling the nuclear plant it established an interconnection with Bulgaria to purchase electric power produced by the Bulgarian nuclear power plant just kilometers from the north border of the country. The issue of technological dependence and network interconnections was raised by Ivaylo Hristov too. He presented a paper on the transition of the Bulgarian nuclear energy sector from the Cold War to the Liberalization and the period of Bulgaria’s integration in the European Union. Hristov argued that during the Cold War the technological dependency from Russia created the political and social legitimacy of a dominant ideology in which nuclear power was considered as critical infrastructure for the model of the state’s political economy. The collapse of the communist regimes destabilized the energy regime since it provided the political space and the legitimacy of actors from the environmental and anti-nuclear movement to react and question certainties and hegemonies in the energy policy of the country, while at the same time legitimized transnational pressures by the European Union that urged for the decommissioning of the nuclear reactors. Each session was followed by extensive discussions that culminated with the final roundtable and the reflections by the commentators and the audience. In concluding we can summarize the discussion by stressing four main points that emerged from the papers and the discussions: a) understanding path dependencies is important in policy making since they shape the dynamic of actors, innovation networks and institutions. Only by mapping the sociotechnical networks involved, can a more interventionist agenda follow and effect changes; b) technologies are materialities inscribe and co-produce social order, the developmental paradigm and patterns of innovation. Thus, historically reconstructing the co-production process can inform public policies and public debates in spaces of deliberation. This is particularly important in order to secure symmetry in the engagement of different actors in the deliberation, as well as the condition for overcoming social inequalities in the design and distribution of innovations; c) studying the histories of transnational network interconnections and technological dependencies can help us to understand current technology policies and inform debates about the appropriate directions of contemporary transitions; and d) historical studies at micro and meso levels of analysis require a broader vision to address structural dimensions of sociotechnical networks and thus inform contemporary policies in an effective and efficient way. The workshop concluded in optimistic and enthusiastic spirit about the linkages and synergies between the history of techno-sciences and innovations and public policies while discussions continued over a dinner in a historic traditional tavern in Plaka the oldest section of the city of Athens. 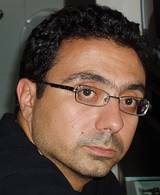 Stathis Arapostathis is Assistant Professor of History of Science and Technology in the National and Kapodistrian University of Athens. He was trained as a physicist before moving to the history of science and technology and completing a DPhil in the History of Technology at Oxford University under the supervision of Prof. Robert Fox. His research interests comprise: the history and politics of intellectual property; law, science and technology; history of technological networks; history of engineering; history and sociology of expertise; environmental history and history of technology; historically informed policies; history and politics of innovation and research policy. He coauthored with Graeme Gooday the book Patently Contestable: Electrical Technologies and Inventor Identities on Trial in Britain (MIT Press, 2013) and he coedited with Graham Dutfied the book Knowledge Management and Intellectual Property: Concepts, Actors and Practices from the Past to the Present (Edward Elgar, 2013).